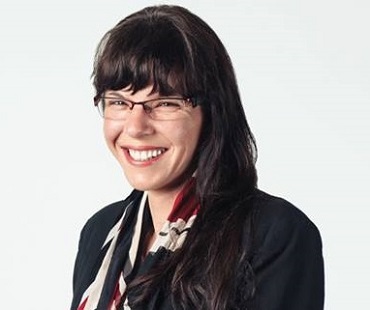 Vancouver city councillor Andrea Reimer will share her perspective with participants at the City Summit, as will Deb Bryant (CEO of the Association of Neighbourhood Houses of BC) and John Neate (owner of JJ Bean). The year-long Vancouver Consultation process will be capped by the City Summit November 24 – 25, at Glad Tidings Church. Participating will be church and ministry leaders from the city of Vancouver, with a handful of observers from surrounding cities. City Leaders Roundtable will feature representatives from the government, non-profit and business sectors: Andrea Reimer, Vancouver City Councillor; Deb Bryant, CEO of the Association of Neighbourhood Houses of BC; and John Neate, owner of JJ Bean Coffee. They will offer their visions for Vancouver and then have a moderated conversation about how the Christian community can better participate in the life of the city. Tim Dickau at Grandview Calvary Church. 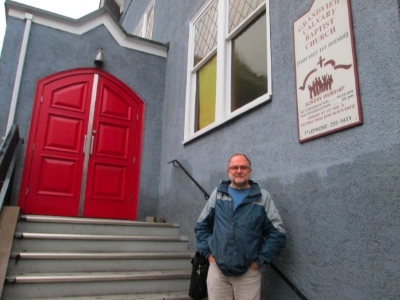 Keynote presentations on elements of Vancouver’s national and local contexts that ought to inform our ministries: Dr. Glenn Smith has run Christian Direction in Montreal for over three decades, working ecumenically with civic governments. Dr. Tim Dickau, pastor of Grandview Calvary Baptist Church since 1989, revived a dying church by casting vision for holistic gospel engagement with issues of housing, refugees, food security and much more. An extended lunch structured for small group discussion around the morning’s topics. 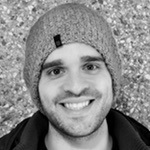 Jonathan Bird: Vancouver demographics and trends; summary of findings from focus groups conducted earlier this year among more than 130 pastors and non-profit executives from all corners of Vancouver. Dr. Ray Bakke will address the international situation; he is a highly regarded pioneer in contemporary urban missiology who developed the Consultation model and has assisted them in many major cities around the world. 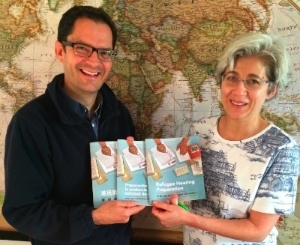 Loren Balisky and Fran Gallo of Kinbrace. Madonna House – Roman Catholic house (poustinia) for prayer and neighbour care; International Student Ministries Canada at UBC. Participants will consider these questions: What factors are allowing them to succeed? What principles can be transferred to their own efforts? The gathered leaders will be asked what we can do together, for the good of the city. Panel: Brief final observations and exhortations from Glenn, Ray, Tim. Group consensus about next steps: “Given the pattern that we see in your individual responses, what would be ways to support and encourage you and your group as you move forward? What does it mean to do this together? 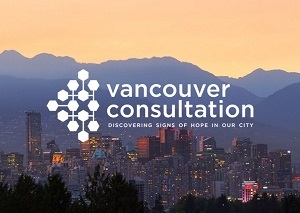 To gain a fuller sense of the Vancouver Consultation process, read the three accompanying articles on the Church for Vancouver site.